WASHINGTON (Reuters) - The Pentagon's top military officers have decided to review the kind of staff support provided to senior generals and admirals after several high-profile scandals raised concerns about the inappropriate use of personnel and equipment for personal gain. The decision, announced on Friday, to take a closer look at support given to senior military leaders was one of two initial recommendations to come from a review of ethics training requested by Defense Secretary Leon Panetta three weeks ago. Panetta ordered the military's Joint Chiefs of Staff to undertake the ethics training review at a time when two of the military's top generals and the CIA director, himself a retired general, were embroiled in scandals or investigations. CIA Director David Petraeus resigned after acknowledging an extramarital affair, while Marine Corps General John Allen, who leads the war effort in Afghanistan, was put under investigation over allegedly questionable emails, and Army General William Ward was demoted over misuse of staff and aircraft. Ward was stripped of one star and ordered to repay $82,000 after the inspector general found he inappropriately used military aircraft and vehicles, wasted government money on travel and used his staff to perform personal services for him and his wife. Officers who have jobs that require them to entertain dignitaries may have aides who prepare official meals, maintain their dress uniforms and other tasks. But regulations prohibit the officers from using staff for personal chores, such as child care, walking the dog or doing household laundry. In a November 14 memo to General Martin Dempsey, chairman of the Joint Chiefs of Staff, Panetta said lapses in conduct by top officers could "erode public confidence in our leadership" and hurt the military's ability to perform its mission. He asked the Joint Chiefs to review ethics training for officers for any gaps and report back in time for him to brief President Barack Obama on December 1. Dempsey had been reviewing ethics issues separately for much of the year, even before Panetta's request. Pentagon spokesman George Little said on Friday that Dempsey made two key points in his initial findings: current ethics training is appropriate but may need to be started earlier and reinforced more frequently, and staff support for senior officers merits further examination. "General Dempsey believes we must look at the level and type of support senior leaders receive in the execution of their duties, to ensure it is necessary and to ensure we are being consistent, sensible and efficient," Little told a briefing. He declined to elaborate on what was meant by "support," other than to say it referred to "personnel infrastructure underneath general and flag officers." Senior generals and admirals have significant flexibility in assembling the staff they need to carry out their jobs. Staffing provided to top military leaders is often a function of the specific job and is influenced by tradition within the particular service branch. Generals and admirals also may have a range of more senior aides to help them carry out official functions, from staffing their offices and offering advice to preparing reports and maintaining their official schedules. Different services have different rules governing staffing levels and use. "There are different types of support that general and flag officers get," said Lieutenant Colonel Steve Warren, a Pentagon spokesman. "As an example, general officers in command often have an aide de camp." "They also, based on the requirements of their position, often have other support staff to help ... with some of the more routine day-to-day activities," he added. "Additionally, as part of their duties, they will often have more senior officers surrounding them to help them with preparing documents, doing preparation for meetings that they have, things like this." The Border Security Force will get 509 more border outposts (BOPs) along the country’s international boundary with Pakistan and Bangladesh to prevent infiltration and cross-border smuggling in the next two years. “The new BOPs will be composite in nature and will have all facilities within the same complex. We presently have 1,373 BOPs (at the borders with Pakistan and Bangladesh, the only two guarded by the BSF). The Rs 1,832 crore project will be completed in the next two years,” said Arvind Ranjan, the force’s acting Director General at its Raising Day celebrations. Of the 509 composite BOPs, 120 will come up in the Western sector in Punjab, Rajasthan and Jammu. The remaining BOPs will be built along the border with Bangladesh. Once built, there will be a total of 1,882 BOPs. 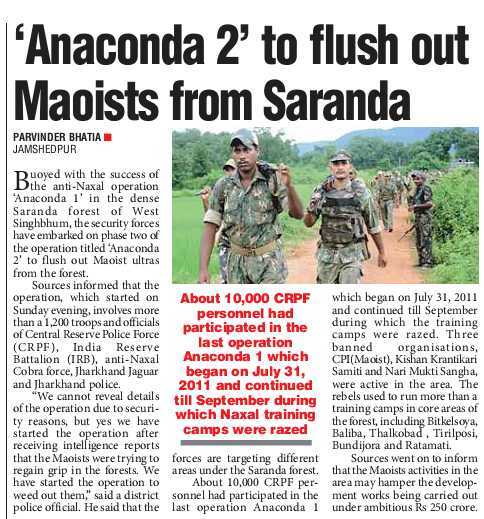 “About 100 of these out-posts are under construction and nearly 40 are ready,” said a BSF official. A composite BOP comprises 14 elements as against five in regular BOPs. These include two barracks, a kitchen and recreational activities for the personnel. The aim is to ensure that the jawans posted along the border are well taken care of. Upon completion of the project, BOPs will be located less than 3.5 km apart. 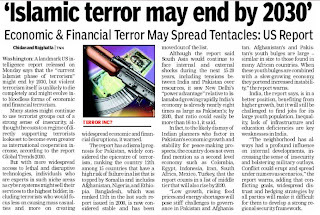 Tactically, an increase in density of BOPs is intended to reduce infiltration attempts along the India-Pakistan border, illegal migration and cattle smuggling from Bangladesh and smuggling of drugs and fake Indian currency notes. In areas such as the Sunderbans, Rann of Kutch and other creeks and riverine locations where fencing and floodlighting cannot be installed, the BSF is looking to use unmanned aerial vehicles and camera and sensor-fitted balloons that will enable jawans to look farther, see a threat earlier and tackle it accordingly. 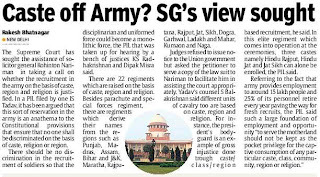 The Supreme Court today sought the assistance of Solicitor General Rohinton Nariman in adjudicating a PIL that has sought abolition of recruitments in the Army on the basis of caste, religion and region which was part of the divide and rule strategy of the British to prevent the emergence of national loyalty among service personnel or a monolithic integrated Indian Army. A bench comprising Justices KS Radhakrishnan and Dipak Misra asked the PIL petitioner, IS Yadav who is a doctor running a nursing home in Haryana, to hand over a copy of his petition to the SG and posted the matter for further hearing at a later date. 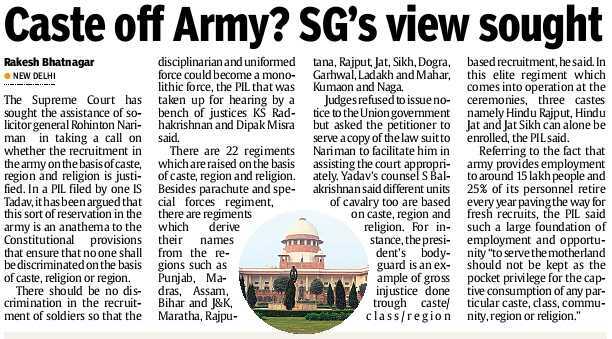 According to the PIL, the government was claiming that Indian Army was truly secular, but it had regiments based on caste, religion and region such as Rajput, Sikh, Gorkha, Naga, Jat, Rajasthan and Maratha regiments even today. These regiments created a feeling of pride among some communities, but at the same time made people from other sections and regions feel that they were inferior. 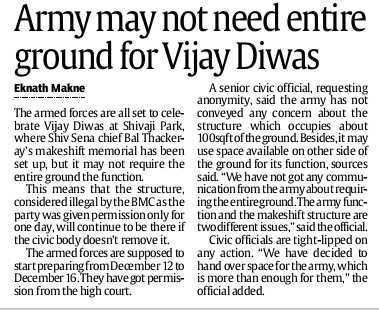 “This is unhealthy and is against the interest of the Army itself and the larger interests of the nation,” the petition contended. 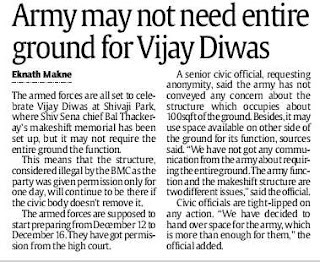 “It is belittling and demeaning to project the supreme sacrifice of the soldiers as motivated by caste-based regimental colours and not as dedications to the motherland,” the PIL contended further. Recruitments based on such a policy “is against the constitutional mandate of equal treatment which the state is expected to extend to all its citizens,” senior advocate S Balakrishnan and M Veerappa contended. In January 1949, the Centre issued an order abolishing recruitments on such criteria but backtracked from it the next year. “Its retention in independent India is because of narrow clannish and caste/communal considerations of petty small time politicians,” the PIL said. The Air Force and the Navy were not following any such discriminatory classification, the petition pointed out. The Armed Forces (Special Powers) Act would not be withdrawn from Jammu and Kashmir until the situation there became completely peaceful, Home Minister Sushilkumar Shinde said today. 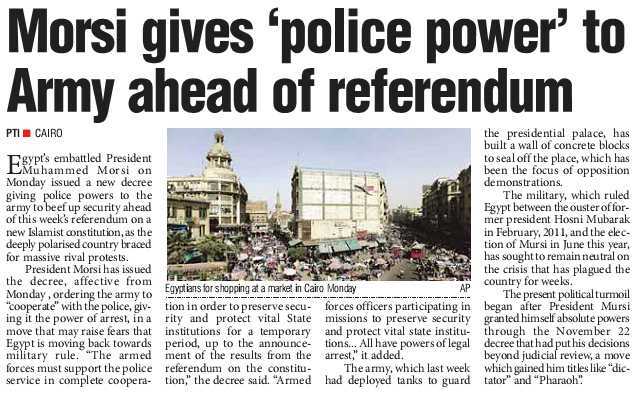 "It cannot be withdrawn unless it (the state) is quite and calm," he said. 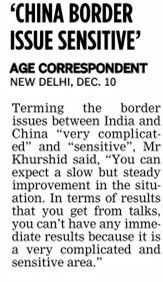 He said the infiltration from across the border had increased in recent times requiring security forces to keeping a close eye along the Indo-Pakistan border. "Infiltration has increased. That is our information. We are worried. We are watchful in all sectors. We are very careful. 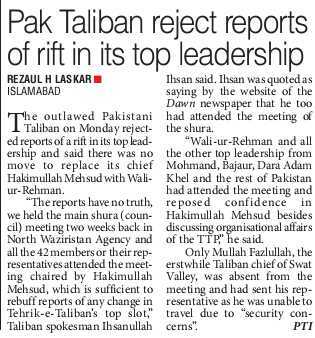 But no untoward incident has happened as far as infiltration is concerned," he said. Last week, the government told Parliament that till October 12, 111 people were apprehended along the border in Jammu and Kashmir while they were trying to infiltrate into India. The government also said at least 90 Pakistani infiltrators entered India through the Indo-Pak border this year. 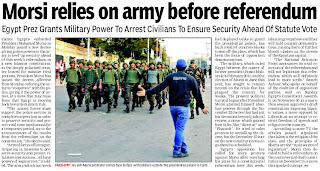 Sources said the abrupt jump in the number of Pakistani infiltrators-from 63 in 2011 to 90 this year (till November 20) - sent alarm bells ringing in the Home Ministry, which directed security agencies to intensify the vigil along the border. Shinde also said that he was hopeful of getting "a result" on the much-debated and much-criticised National Counter-Terrorism Centre (NCTC). The NCTC proposed by Shinde's predecessor, P Chidambaram, in February this year, had led to a barrage of protests from non-Congress ruled states that saw this as an attack on their powers. It has been put on hold since then. Asked about the status of the NCTC project, Shide said, "I have been talking to chief ministers and soon you will get results." Shinde also said that the Centre had decided to go ahead with the all-party meeting on Telangana on December 28 despite a request from Andhra Pradesh Chief Minister N Kiran Kumar Reddy to postpone it. The Armed Forces Tribunal today dismissed the objections raised by former Commander of 121 (I) Brigade at Kargil, Brig Surinder Singh, against Lt Gen NS Brar being the administrative member on the Armed Forces Tribunal’s Bench hearing the case against the termination of his services in the aftermath of the 1999 border conflict with Pakistan. During the last hearing on November 29, Brig Surinder Singh had claimed that Lt Gen Brar was a friend and regimental associate of Brig Devinder Singh, another brigade Commander in an adjoining sector during the conflict, and that there was a clash of interest between his case and that of Brig Devinder Singh. He added that since Gen Brar had been attending social functions with Brig Devinder Singh, he may not get justice with Gen Brar being on the bench. The bench, comprising Justice Rajesh Chandra and Lt Gen Brar today ruled that being seen at such public social functions could not constitute as grounds for raising objections. The bench, however, gave Brig Singh the liberty of approaching the Tribunal’s Principal Bench at New Delhi with his objections before January 11, when the case is scheduled to be heard next. Brig Surinder Singh had been removed mid-conflict over allegations of mishandling classified information and later his services were terminated. He challenged the Army's actions in the Delhi High Court and the matter was subsequently transferred to the Tribunal. Marking the celebration of the 20th anniversary of the establishment of diplomatic relations between them, India and Ukraine today signed five key pacts, including one for cooperation in the field of defence and another on nuclear safety. The other three agreements were for cooperation in the fields of science and technology, mutual legal assistance in civil and commercial matters and elimination of technical barriers to trade and economic relations. The accords were signed after extensive talks between Prime Minister Manmohan Singh and visiting Ukrainian President Viktor Yanukovych here this afternoon. “President Yanukovych and I exchanged views on regional and global issues. We also agreed to intensify our consultations in international forums. I have no doubt that this visit by President Yanukovych will set India-Ukraine relations on a firm course,” Manmohan Singh said in a brief statement after the talks. Significance is being attached to the agreement on nuclear safety under which the two countries will cooperate in some important regulatory activities, including legislative regulations, safety guides and technical criteria on nuclear safety, design, construction, operation, decommissioning of nuclear facilities, waste management and environment impact. The agreement for cooperation in the defence field provides the framework for expanding military technical cooperation on an institutionalised basis. 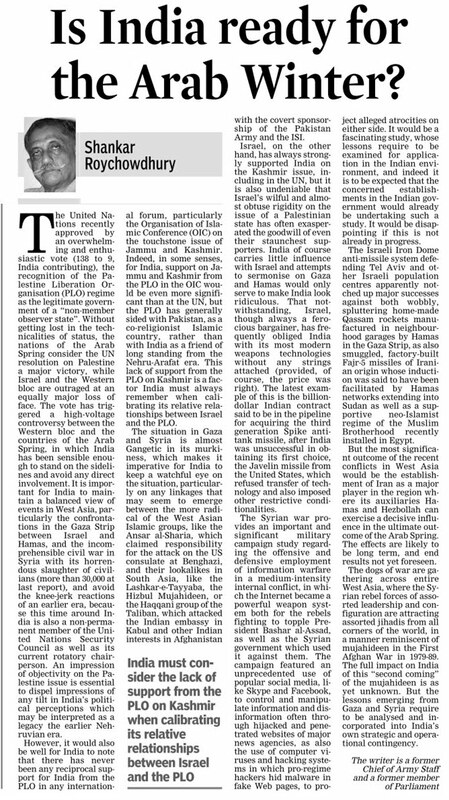 It envisages mechanisms to be set up for promoting defence cooperation. The pact is expected to pave the way for moving the defence relationship to a new place, that of joint research and development in the future. Manmohan Singh noted that Ukraine’ expertise in defence technologies was well established and offered synergies with India’s defence technology base. “Our two countries are already undertaking a number of defence cooperation projects. The defence cooperation agreement that we have just signed establishes a new framework for this cooperation,” he added. He said the two countries could learn a great deal for each other on nuclear energy and nuclear safety. On commercial ties between the two countries, the PM said the bilateral trade had more than doubled in the last five years to nearly three billion dollars though it was heaving weighed in favour of Ukraine. The government has decided to allow the Army to have its own heavy duty attack helicopter fleet, Defence Minister A K Antony said today. "Yes... the decision to vest the future inductions of attack helicopters with the Army has been taken keeping in view the operational requirements in the field," Antony told Lok Sabha in a written reply. 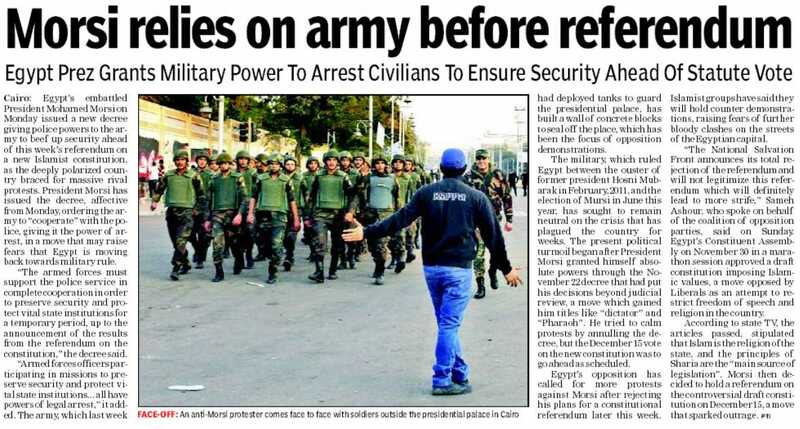 He was asked if it has been decided to let the Army have its own heavy duty attack chopper fleet. The Army, which has been demanding control over attack and medium-lift helicopters, was recently allowed by the Defence Ministry to have its own combat chopper fleet. 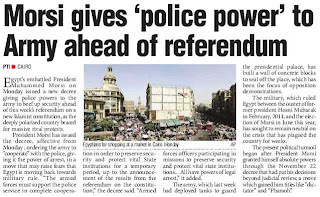 The force plans to deploy these assets in its three Strike Corps and ten Pivot corps along the western, northern and north eastern borders of the country. Answering a query on schools run by the Army, he said, "A case for exemption of Army schools from the ambit of Right to Education Act has been received from the Army headquarter and the same is under consideration of the Government." In reply to another query on DRDO, he said, 11 distinguished scientists are working on extended tenures. "As per existing provision, scientists and technologists can be given extension in service," he said. Meanwhile, in reply to a written query on FDI in defence sector, Minister of State for Defence Jitendra Singh said, "FDI amounting to Rs 19.89 crore has been received in defence industry sector from January 2001 to September 2012." He made it clear that the Government was not considering any proposal to further liberalise the investment policy to promote FDI in defence industry. 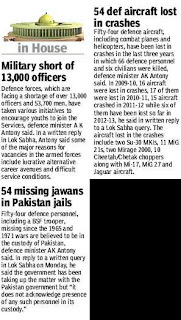 New Delhi : The Indian Army is facing a shortage of 10,100 officers and 32,431 men below officer ranks, Defence Minister A.K. Antony told parliament Monday. In a written statement in the Lok Sabha, the minister said the navy also had a shortfall of 1,996 officers and 14,310 sailors while the air force was short of 7,962 personnel including 962 officers and 7,000 airmen. He said the naval shortages were counted on Sep 30 and the air force shortfall on Dec 1. The minister said some of the major reasons for the shortage were difficult service conditions, perceived high risks, stringent selection criteria and lucrative alternative career avenues. He said the number of military personnel who took premature retirement slipped from 8,563 in 2009 to 8,492 in 2010 and again rose to 11,760 in 2011. The number for 2012 was 10,822. 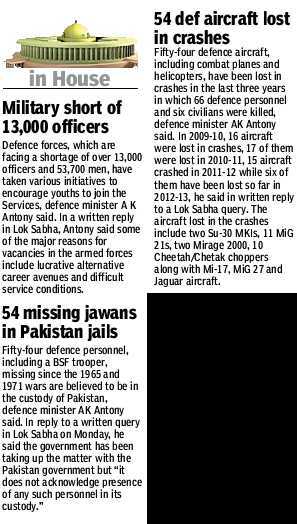 Antony said the government had taken a number of steps to encourage youth to join the armed forces. These included conducting recruitment rallies and media campaigns to attract the young to join the army, navy and air force. 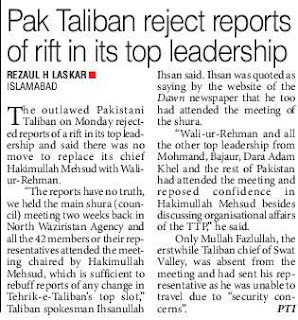 Pak flouts truce again, 6th violation reported.. The Indian Army on Sunday evening reported sixth consecutive ceasefire violation from across the Line of Control by Pakistan army in the Krishna Ghati sector of Poonch in the last one week. 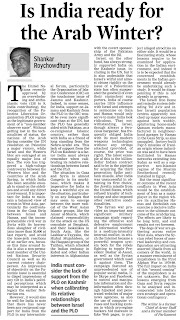 The alarming frequency with which the Pakistani army is desperately breaching the ceasefire agreement clearly suggest that they are under immense pressure to push armed militants inside the Indian territory ahead of harsh winters. The traditional infiltration routes in Kashmir valley are already covered under the thick blanket of snow i North Kashmir. According to defence sources when mountain passes in North Kashmir valley receive heavy snowfall the infiltrators guide shift their base to Poonch,Rajouri frontier to launch infiltrators. According to defence sources, “the heavy volume firing which started late Saturday evening around 7.15 p.m continued till midnight.At least 7-8 forward posts in the KG sector were targeted by the Pak army raising doubts over ‘real intentions’ behind ‘unprovoked’ firing using heavy arms for long hours”. The exchange of fire in the KG sector of Poonch was reported in the wee hours of sunday and later in the evening heavy volume firing started again around 5.30 p.m,officiating defence spokesman SN Acharaya said here in Jammu. The Pakistani army, according to local reports in Poonch were using heavy weapon fire to target Indian posts in the KG sector. Five Indian posts of Kirpan, Kirpan 1, Chajja, Kranti, Ghoda were targeted on sunday evening forcing the Indian army to effectively retaliate the fire. Till last reports no one was injured in the firing. 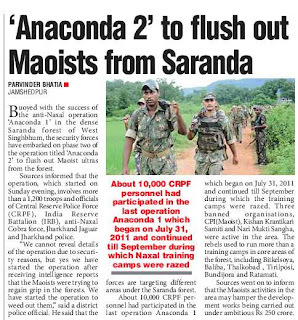 However,the Indian troops were maintaining tight vigil along the line of control and relying on sophisticated surveillance devices to track down the movement of armed infiltrators near the barbed wire fence. Defence sources said it is difficult to completely rule out whether Pakistani army has been able to push armed infiltrators inside the Indian territory in the garb of heavy volume firing across the KG sector or not. Meanwhile, One Indian solider was injured on saturday after he stepped on the land mine in the forward area.The solider, hailing from Rajasthan, is believed to have suffered serious injuries on one of his legs in the land mine blast.He was shifted to the army hospital, defence sources said.